Reality Whore Russell Hantz Heading to Celebrity Apprentice? 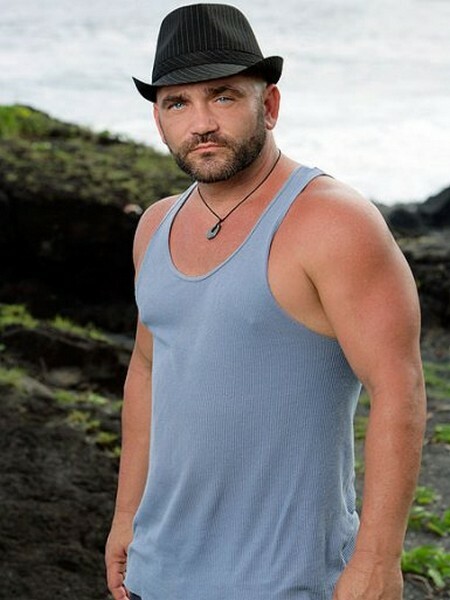 Russell Hantz is the only player on Survivor to play three times in two years; Survivor:Samoa, Survivor:Heroes vs. Villians and Survivor: Redemption Island. The self made millionaire is known as one of the best known villains in Survivor’s history, yet he has never won the game, although he did once win the Sprint Player of the Season title, which included a $100,000 award. Russell’s final words on Survivor were that he would never play again, he felt he had nothing else to prove. Russell’s love affair with reality TV didn’t end with Survivor, A&E picked him up for his very own new reality show, Flipped Off, where he and his family attempt to buy Houston-area houses at rock bottom prices and resell them at a profit after they fix them up. But that’s not enough for Russell, he still wants to do more reality TV and has even challenged Donald Trump. I think Donald should definitely do a cross-over show, it would certainly bring some excitement to the show – but one rule, only the Survivor villains would play and it would be nice to see them play for charity rather than for personal gain; I would be left wondering if they would play as hard? Is Aubrey O’Day The Biggest Whore Ever On Celebrity Apprentice?